For Couples Therapy and Marriage Counseling services please contact our Tulsa office at 918-281-6060. We are here to help your relationship. Our Tulsa, OK location is home to Brad Robinson, LMFT and Daniel Hoffman, LPC. The right kind of marriage counseling helps couples to find effective ways of communicating and gaining a deep sense of emotional closeness that enable them to build or rebuild their relationship. When couples counseling is done well, a relationship can return to feeling safe, positive, and enjoyable. At Marriage Solutions in Tulsa, our focus is completely on supporting and strengthening couples. Not only do we offer therapy at affordable rates, we also offer a variety of online resources. When looking for Tulsa marriage counseling look nor further than Marriage Solutions. While we are a pro-marriage organization, you do not have to be married to benefit from relationship counseling. At Marriage Solutions, we believe that everything should be done to support a couple in their commitment to each other. Psychology encompasses many schools of thought. Our Tulsa marriage counselors work with evidence-based techniques that are so successful that 75% of couples completely recover, and 90% of those maintain the improvement even three years after they have completed their sessions. When should a couple seek help? You do not have to be considering separation to benefit from couples counseling. No one has all the tools required to support their partner in every conceivable situation. Having relationship counseling is a sign of commitment. Feelings of vulnerability may be difficult for one or both partners to cope with and are sometimes enough of a barrier to prevent them from visiting a Tulsa marriage counselor. Our practitioners have a lot of experience with this hesitation and can offer limited coaching to just one partner until both partners are ready for couples therapy. Our marriage counselors may refer to our network of individual therapists for individual sessions if one partner needs to address issues that arose before the relationship. Many couples benefit from support after the birth of a child. Lack of sleep and shifting priorities can sometimes create additional problems for a couple. As families grow, some couples use marriage counseling to help them identify and communicate what they need, and to improve how they nurture and support their partner. Blended families may struggle to work as a team. New children – whether step children or babies, need the adults around them to be a team. There will always be conflict, but adults who can resolve disagreements constructively are modeling vital skills for their children. Many clients have seen this for themselves. They come for couples therapy in Tulsa because they fear that they are ‘turning into’ their parents and want to protect the next generation from old hurts. Change is a reality for everyone. One partner may have a job that is overwhelming family life. Perhaps there is a problem such as redundancy, illness, or the loss of a family member. Often, a couple simply feels that they are growing in different directions. Marriage therapy can help couples turn towards each other when there’s trouble, instead of being divided by it. Insight, trust, empathy, compassion and forgiveness are the hallmarks of a good relationship. 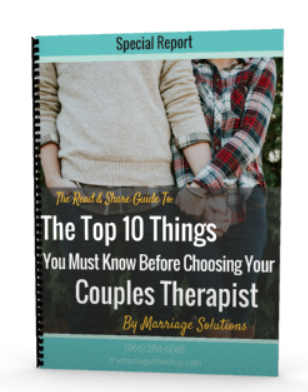 By working with a therapist to strengthen and rebuild these bonds, couples find that the benefits of couples therapy can go beyond dealing with a particular issue and revitalize the unity and intimacy that brought them together. Many couples can push past infidelity with the right kind of relationship counseling. Keeping discussions focused and fair is one of the main roles of the therapist. Relationships must adapt if one partner experiences a ‘mid-life crisis,' or when children leave home, or when one or both partners retire. These changes can be more manageable with couples therapy. If one partner must work abroad or becomes seriously ill, couples therapy can help them prepare for the forced separation ahead. Couples may come for therapy because their partner has already left. It’s not impossible for marriage counselors to help them turn things around at this stage. Even if the relationship itself is no longer going to work, it is still better to have an amicable separation, particularly if children are involved. It is usually best when both partners come to counseling so the couples therapist can help you make the best plan going forward. Conflict is exhausting. With unproductive patterns eliminated, people find that they have more energy for their children and personal projects. Improved communication skills make work and social events easier too. Therapy can be demanding. It can be painful. The important thing is that Marriage Solutions relationship counselors are experts in creating a safe space where couples can examine the deeper issues and learn the skills to communicate and support each other. Sometimes this requires several sessions, but other times it may only take one or two meetings with a marriage counselor before the couple is able to take that safe space home with them. If you are interested in finding Tulsa couples therapy, contact Marriage Solutions today at 918-281-6060. Also serving the areas of Edmond, Moore, Norman, Yukon, North OKC and South OKC.